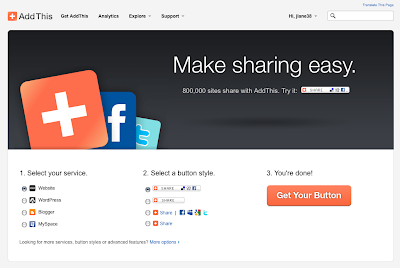 User Experience Design: Big AddThis Design Release Today! Big AddThis Design Release Today! 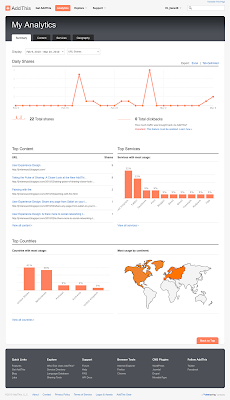 After a ton of hard work from our design and web development team, today we launched updated analytics and a new look and feel for AddThis. Our design objectives included streamlining the global navigation and revisiting our 960 grid to refresh all of our page templates. 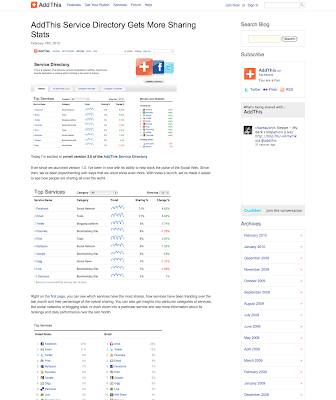 We also significantly expanded our analytics offering for the 800,000 sites that use AddThis for sharing. Huge hats off to Jeff Wong (creative direction), Foo (CSS/HTML) and Philip Sharp (dev lead), as well as our whole QA team. Our awesome community manager Justin Thorp (Twitter/Blog) will be blogging more about the new features later today over on the (new!) AddThis Blog. For those interested in some of the process and specifics that went into this redesign, Jeff and I will be blogging about that topic over on the AddThis blog soon, stay tuned. Here are some before and after screen grabs. At Clearspring, we get to play in the world of sharing everyday. 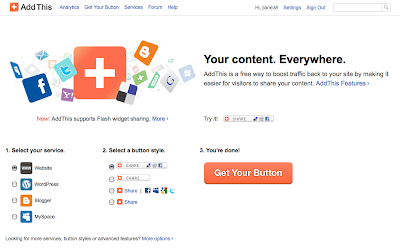 We wanted to try to capture some of that fun with a new design for the AddThis blog. 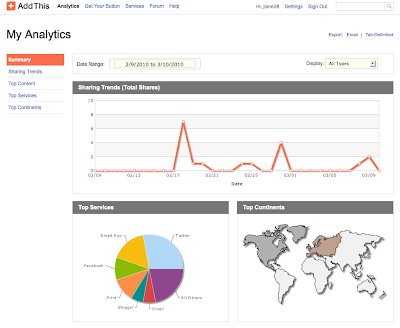 And we're just getting started – stay tuned for more analytics and design enhancements coming soon. 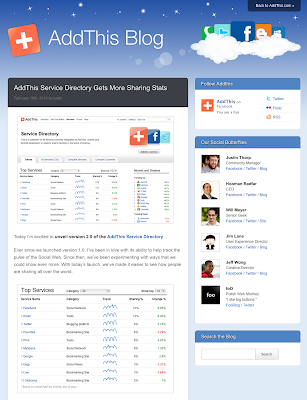 In the meantime, check out the new and improved AddThis.com. We'd love to hear what you think. Looks awesome fully realized, congratulations. I wish I understood how all this information gets through the pipes without getting clogged.